This evening I'm in charge of organizing our local 24th of July celebration. 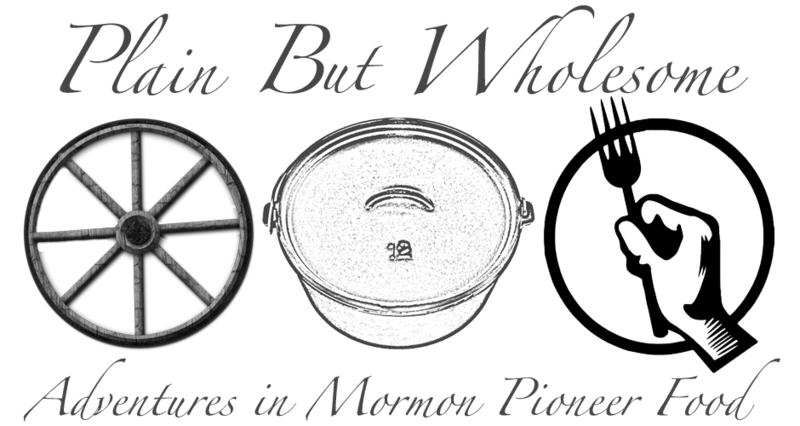 Its going to be a potluck dutch oven dinner, followed by an old-time dance (yeah, what the heck does "old-time" really mean?) with a live string band and a caller. I'm going to bring a pot of beans for my dutch oven contribution, as well as a cucumber salad. The cucumber salad is the one where you slice a bunch of cukes and onions and then rub salt into them; let them sit in the salt for half an hour, then cover with 1/2 cup vinegar, 1 cup water and 1/4 cup sugar, pepper to taste. Chill for several hours before serving. Its one of my favorite summertime salads, and our cukes are going gangbusters right now. We pick 5 gallons of cukes twice a week. As I'm fixing the beans and salad, I'm thinking back to the words of one Isabella Rogers, born August 17, 1858: "I believe the present trend is setting too strongly towards salads and such fixings. A revival of the old fashioned dishes would be a good thing for every community." In part this is why I chose the dutch oven potluck; also because you just gotta dutch oven on the 24th of July. But what do you guys think? How would old fashioned dishes make our communities different than if we just bring salads to everything? Old fashioned dishes each come with a story. Those dishes handed down from my grandma (such as crystal pickles) and my great grandma (swedish crullers)mean the most to me. I love learning the background of everyone's food traditions. Thanks... that was a great comment! Perhaps we love what we know most, and we all get a little uncomfortable with change and new things. Like, kids and their cell phone texting just drives me nuts. Why can't they live in the real world instead of behind a digital screen? So what do we have to do to get those recipes? We ALWAYS bring a main course to a potluck dinner. Otherwise, Scott would have nothing to eat. There's always mayonnaise all over the salads, and the meat is always slathered in BBQ sauce, so unless we bring a main dish, he has nothing to eat. I'm not against salads at all. In fact, with the diet I've been following, (20 pounds and counting!) I've been trying for a salad AND a cooked vegetable with our meals. If you only have 1 veggie per meal, how do you expect to get in your 5 a day? Besides, if you consider section 89, with sparing meat and sparing grains, what's left? Vegetables and fruits! Yay for salad! Yay for weight loss! I like going to a pot luck and seeing 4 of the same dishes, yet each one is a little different. Its cool to see how the old fashioned staples evolve. Also, it exposes you to new recipes, so if you find a new version of an old classic, you can take borrow the recipe from the person who brought it. Speaking of salads- What test does a salad have to take to become an attorney? A salad bar exam.